Air Force Common Admission Test (AFCAT) has released a recruitment notification for the posts of Flying, Ground Duty (Tech), Ground Duty (Non-tech). Interested candidates may check the vacancy details and apply online from 16-12-2017 to 14-01-2018. For Flying: Minimum 20 years and Maximum 24 years (as on 01-07-2018). For Ground Duty (Tech & Non-tech): Minimum 20 years and Maximum 26 years (as on 01-07-2018). Selection of candidates will be made on the basis of Computer-based Online Test, Psychological Test, Group Tests and Personal Interview. All candidates have to pay Rs. 250 through online mode using Net-banking/Credit or Debit Card. Candidates with Meteorology Entry and NCC Special Entry don’t have to pay any fee. 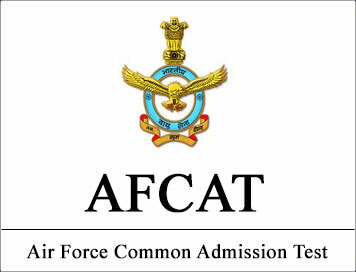 Interested and eligible candidates may apply online through AFCAT website - http://www.careerairforce.nic.in/ - from 16-12-2017 to 14-01-2018.